Why aren’t more bands called “Kids”? No other word has so much attitude and energy, smacking of defiant grins and gonna-die-young teenage abandon. It is almost perfect for a rock band (if you can keep the 1995 Larry Clark movie out of your mind). 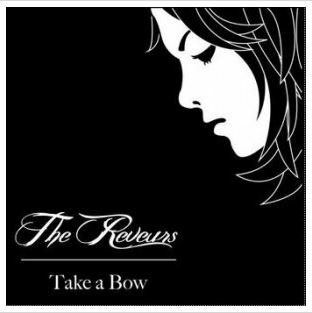 This group keeps true to its energetic name by approaching this album boldly and earnestly. Their soundcloud.com bio proclaims that the band intentionally added a “throwback vintage cinematic feel” to their pop album, Rich Coast, inspired by “old spaghetti western films and Kung-Fu movies”. This is totally evident throughout the album, and kind of fun to look out for. The images you’ll see in your head as you listen to this collection of songs are of graceful, martial arts curves; and bold, colorful open skies. I liked the first song “Man on the Moon” right away. The vocals remind me of Coldplay and Richard Ashcroft, in that the singer is not afraid to get high-pitched and emotional. Lots of the aforementioned Kung-Fu influence is apparent on this one. The next song (“Vistas”) calls to mind a California Cowboy movie. 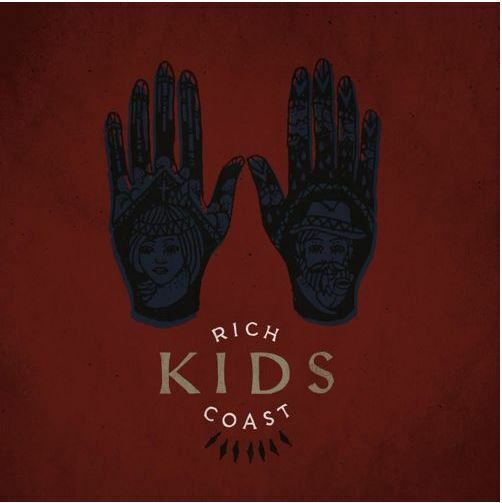 The Rich Coast title of the album seems like a fitting home for this song that could be written by One Republic – but with more cinematic background instrumentation throughout. Track #3 is “Love’s Song” – The heavy echo on the vocals is somewhat dramatic and romantic, and the melody itself is like a stirring Celtic ballad from a Clannad album (just missing a tin whistle or bagpipe solo). Just when you think this feels a little long, it rebounds into a huge choral session that breaks from the highland mood, before tapering back down again to the simpler lyrics and folksy feel of the opening. “Second Star on the Right” has that Western feel again, complete with a horseback-riding lilt. It launches fully into an up-tempo energetic start, with mellow lyrics and sprinkles of sounds (almost like bells or a xylophone) adding a bit of sparkle. On the chorus I noted again that the vocals have a very Chris Martin style to them. “Paved Paradise” is next with a funky, upbeat, and bouncy style –like something by Vampire Weekend or Ra Ra Riot. It has a cute and summery feel with some ska-like horns and a memorable chorus that plays like a top hit from almost any of the past three decades. The Kids want you to dance along to this one, with lyrics like “expectation tends to make my heels itch”. There are little bits of fun funky bass too, under crashing rock drum breaks. “The Standoff” is probably my favorite on the album, with an almost edgy, electronica opening. 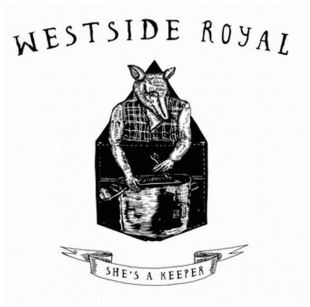 Vocals take a John Mayer-ish appeal with lyrics that don’t annoy, even with their simplicity – “Wasted all your good love when you were young – so tonight is gonna be another lonely one”. The central theme of this song has an EDM-esque hook on a danceable chorus that I really liked. Track #7, called “Lone”, really has the cowboy vibe I kept looking for throughout the album. It is a storytelling ballad, with all of the Wild West bells and (literal) whistles. Then comes “Rides”, a sing-along, sort of musical theater number about the ups and downs of life set to a gentle beat while the singer laments “you’ve come around on a carousel ride – lifting me up just to fall back down.” “Falsetto” has some fun rhythms and the sound of a guqin, while “Sera” has a little more stripped-down appeal and some grittier lyrics, such as “how does a cigar makes the cheapest of whiskey so sweet?” (even though I think this combination of substances might actually give you the worst headache of all). “Broken Homes” features a cowboy tempo again, also with a slightly of Celtic feel, and something like the whinnying of a horse popping out every now and again. This has a bit more of that indie folk revival sound that is popular now – you could imagine a more mellow version of this being performed by a group like “Head and the Heart”. I lingered a little bit on the final song “Sunshine”, listening to it several times, because I found it both poignant and sweet, sad and full of hope – a combination of piano, horns, and even cymbals – while being a little like Death Cab for Cutie at the same time. Some of the songs seemed a little bit lengthy, and because it is highly stylized and musically complex the album can feel a little decadent, like frozen yogurt with too many diverse toppings. But there is something really fun about the intentional-yet-not-too-campy spaghetti western style, and the perfect song titles that help to carry the theme through the album, including “the Standoff”, “Lone”, and “Rides”… I love it when an album does not get too slow towards the end, and this one kept the energy moving forward the whole time. And I must say that the overall effect is unique – this collection of vivid sounds is not something you would hear every day! So pick up a few old movies at the library, view them on mute while listening to this album, and give Rich Coast a try. If you know Björk, then you will know she is amazingly talented as a music producer, writer, performer, singer, and lyricist. Her work never ceases to push new boundaries and challenge old assumptions about what music should sound like, and Vulnicura is no exception. The overall themes are 1) a very classical, traditional, ethereal violin orchestral sound, balanced over 2) harmonic vocals wailing poetic lyrics supported by 3) electronic beats and sampled sounds. The whole album tells a chronological story of a relationship and breakup that is “brutally honest”, as one colleague (who recommended the album) enthusiastically pointed out. In my search I learned more about the album’s two co-producers, and again I was blown away by the sheer wealth of talent and intelligence present in the stories of these two men. According to Wikipedia (which could always be just fancy lies), Haxan Cloak is an artist who got his start recording his own instrumental samples in his parent’s shed; and Arca has already presented at MoMa PSI and worked on a Kanye album. Intriguing, to say the least! My favorite song on the album is “Atom Dance”, because even though it has a slow and melodramatic start, it eventually weaves into an energetic yet silken wave of song, with lots of pizzicato strings (that at times, fall into sharp, robotic beats). Another one I really like is “Mouth Mantra”, because it is one of the most electronic and percussive on the album. My least favorite is “History of Touches” because I am a cynic and it is just too romantic – also it seems to take Björk a really long time to verbalize her intent and get her point across. Otherwise (or should I say musically, instead of verbally) it is completely fine, and I don’t lose too much patience – the organ chords give the piece sunny bursts of energy that are interesting. The icing on the cake is that there is a special exhibit this month at the MOMA in NYC dedicated to Björk and her music, with certain features specifically highlighting this exquisite album. I cannot wait to go check it out, and I encourage you to do the same if you get the chance! While my favorite Björk songs will always be “Big Time Sensuality” from Debut and “Army of Me” from Post, there is something about the sophistication and essential ability showcased on Vulnicura that I cannot ignore, and I simply have to respect. Whether you are a Björk fan or not, please check this out and prepare to be very impressed.